Line of Duty, if possible, upped the ante even further this week with Corbett's most daring plan yet - a heist of Eastfield depot - forcing Steve to come clean to Kate and Hastings. Predictably, this got pushed aside with more complex matters in mind as all three were focused elsewhere. Hastings reminds Kate and Steve that there are no secrets in AC-12, just as Corbett tells Steve that it's Hastings who may well be the top dog. The back and forth between Steve and Corbett reached a tipping point in this week's episode, as we possibly - finally (?) - learnt the identity of who "H" was. It was Hargreaves. Les Hargreaves, the man behind the scenes, operating in command of the OCG. We learnt this after Corbett shot him when their robbery went horribly wrong. AC-12 were called into help only to be diverted at the last possible moment when corrupt officers orchestrated a diversion, forcing Steve under orders from Hastings to aid the police officers who were being shot at in the dark. It was a frenetic, fast-paced moment of television that had everybody on edge from the word go, and that was not just because Hargreaves - or whoever was really giving the anonymous orders behind the chatroom server, had apparently spelled definitely wrong. A calculated mistake? Or an unintentional one? It might be just as big a mystery as to the identity of "H". The episode started off with Hastings pulling rank on the operation and shutting down two of the OCG's operations, a house which turned out to be a brothel, and the repair shop. However, somebody (Hargreaves?) had got to them first to tip them off. At this point, coupled with Hastings rather dodgingly going to dispose of a laptop after being told by Steve and Kate that they were onto the identity of "H" and working with Corbett was a big red herring. All we've got left is hope, hope that Line of Duty is trying not to double bluff us. If Hastings was "H", it would almost be too obvious. But I can't help but shake the feeling that someone will end up trying to put the blame on him to take the fall by the series' end. And it seems that the ball's in Corbett's court. Someone can only go so far on the line before they're pushed over it, and in this case, it took the fact that he learnt he was responsible for killing Hargreaves to push Corbett over the edge. You could argue that he had already planned to do something to get to AC-12 (as the fake identification cards were in the process of being made), but now he's appearing at the home of Hasting's wife, claiming to be Steve? Corbett's in the deep end now, and there might be no escape for him. Steve's already tried to bring him in - despite Corbett's protests that he was only shooting to wound, but now Corbett continues to push the blame elsewhere, stating that it's all on Steve for calling it in. If he hadn't have been involved, he could have potentially got a shot at Hargreaves - beyond one that would have lead to his death. Corbett is at his most paranoid and his most dangerous now. He doesn't trust anyone, after being betrayed by Steve one too many times, and judging by yet another cold, cruel cliffhanger, he's prepared to go to any extremes possible to get to the truth. With the OCG at his disposal, does this make him Line of Duty's most dangerous suspect yet? The answer is quite possibly, although given the variety of characters that the show has thrown us in the past it's hard to make a call. Does he rank up there with Roz & Dot for you? His latest move may signify that he's only getting started, and it's hard not to see Hastings being wracked with guilt especially given his actions - that he's seeing someone else in a hotel at the same time. And coupled with all the accusations as to what's going on with Hastings and "H" - that may not be done away with just yet - it's hard not to look beyond the fact that he's facing his toughest test yet. Will he become the next one to break, like Corbett? Adrian Dunbar was once again so brilliant this episode - even with the temptations thrust in his direction, with Moffatt and Bigelow both barking at his door. 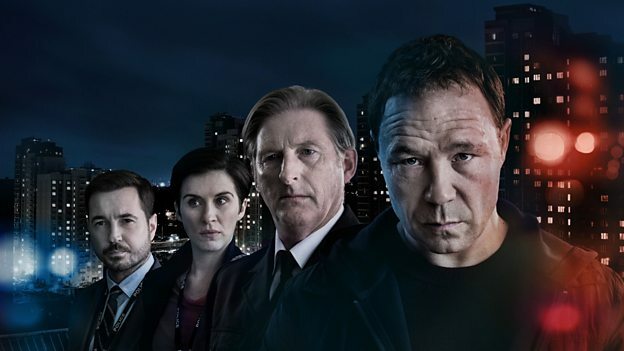 Line of Duty tests both the audience and the characters in this exciting, mid-season episode that ensures that the wait for next week will be just as high as ever. With Steve's ex being brought back into the equation again this week it seems that nobody - not even Hastings himself is above suspicion, and it won't be long before the viewer is as paranoid as Corbett is.